“I am an archaeologist who uses lead isotope analysis to source the ores used to make glaze paints on pre-contact and early historic Pueblo glaze painted pottery.”, was the introductory sentence of an e-mail received by Brad Johnson, Arizona Geological Survey (AZGS) research scientist, on 15 April (tax day) 2017. Archaeologist Judith Habicht Mauche, University of California at Santa Cruz, expressed her interest in expanding her research on lead-glazed paints and pigments of the Zuni and Pueblo potters of New Mexico to the upper Little Colorado River of north-central Arizona. 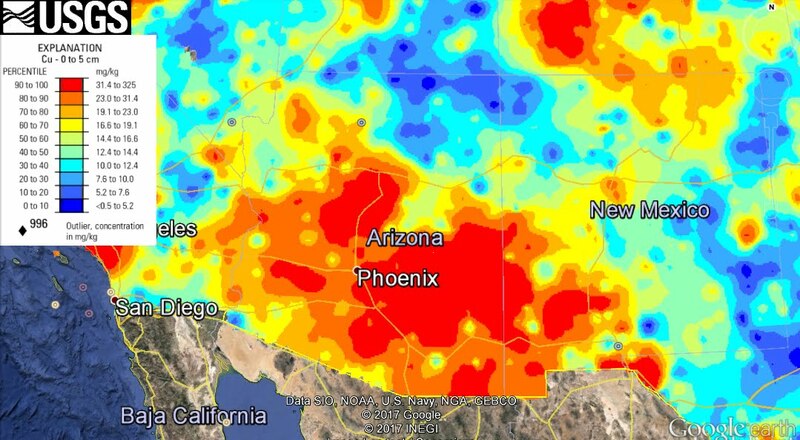 In e-mailing Brad, she hoped that AZGS could supply a suite of lead-rich minerals from Arizona’s metallic mineral districts sampling. She came to the right place. For the past year, AZGS staff curated the assets of the Arizona Mining, Mineral and Natural Resources Museum (MMNRE). Including more than 21,000 mineral specimens from the collection of the former Arizona Mining and Mineral Museum; ~ 35% of those minerals (~ 8,000 specimens) originated in Arizona’s metallic mineral districts (Carter and Conway, 2017). From about AD 1275 to the 1700s, indigenous people of the Southwest included lead flakes in glaze and paint pigments. 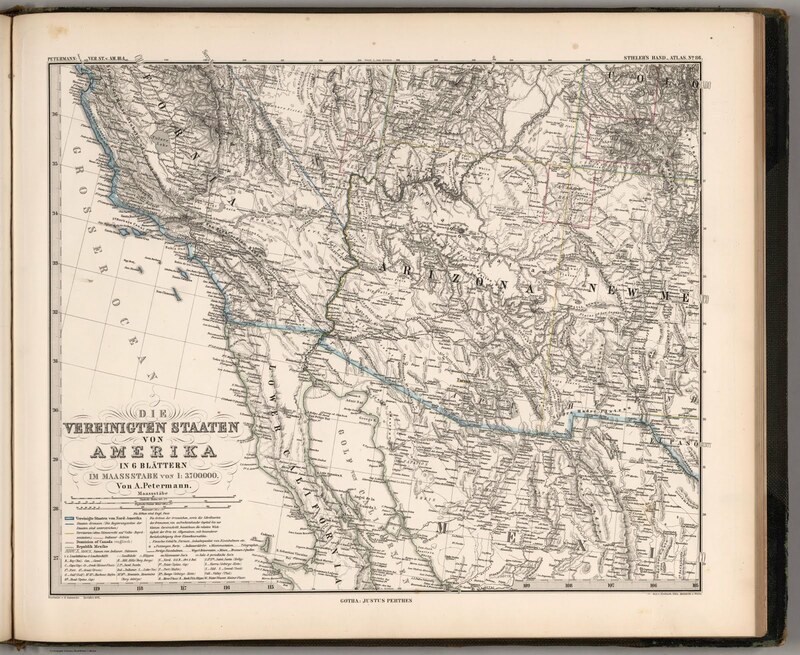 The practice ended about AD 1680, at the time of the Pueblo Revolt when the Pueblo Indians drove the Spanish from New Mexico (then the province of Santa Fe de Nuevo México). As Juliet explains in the accompanying video, ‘Getting the lead out! Using Pb isotopes to track Native American lead glaze technology’, lead glazing and pigment technology originated in the upper Little Colorado River before migrating east and south into the Rio Grande valley of southern New Mexico. The lead isotope fingerprint of individual galena and cerussite ore deposits is unique. So matching isotopes from the mineral source with lead isotopic signatures of the paints or pigments pinpoints the source area. According to Dr. Habicht Mauche, by examining the concentration of lead, copper and manganese, ‘we can see specific paint recipes and we can see how those specific paint recipes moved from one area to another.’ The working hypothesis: paint recipes were specific to particular groups of people. Fingerprinting the source of the lead provides archaeologist with a tool for tracking technology transfer across the SW U.S. 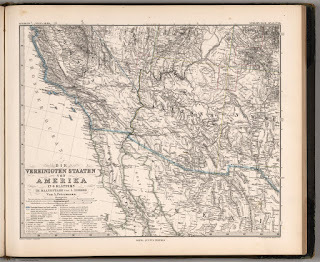 Thereby shedding light on migration or trade patterns of the Zuni and Pueblo people of the Southwest. Carter, C.S. and Conway, F.M., 2017, Mineral, Mining Artifacts, and Physical Assets of the former Arizona Mining and Mineral Museum. Arizona Geological Survey Open-File Report OFR-17-02 v 1.1, 24 p.
Page 1 of 2 page Geoscience and Arizona. How do you quantify the impact of geology and the geoscience community on the health and vigor of a state’s economy? 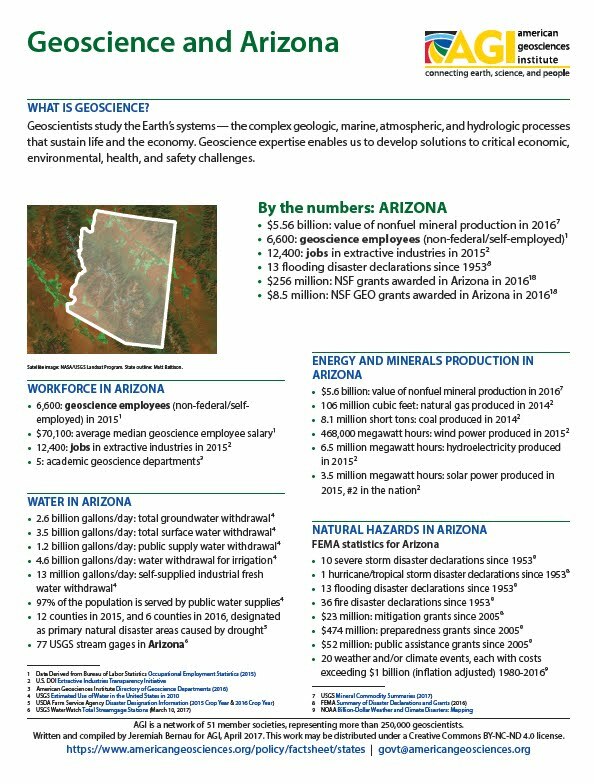 That’s no small task, but the American Geosciences Institute, an umbrella organization for America’s geoscience community, has made a serious attempt to do this and is currently releasing State Geoscience Information Factsheets (Arizona). 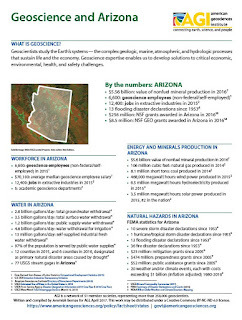 AGI’s Geoscience Policy team created State Geoscience Information factsheets to inform geoscientists and decision makers on how geoscience impacts their state. 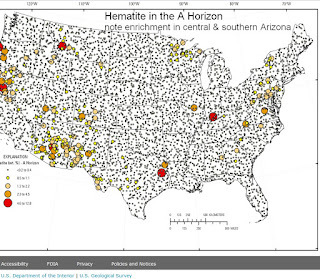 Arizona is the latest state included in the American Geosciences Institute’s (AGI) Geoscience in Your State program. This thumbnail sketch provides an overview of the economic contributions and impact that geology and the geoscience community bring to the broader state community. What about Geotourism? In Arizona’s case, an important addition would be the economic impact of the geology of our national and state parks on local and state economy. According to the Arizona Office of Tourism, in 2015 Arizona welcomed 42.1 million visitors who collectively spent $21 billion. It’s obvious that many of these visitors are drawn to Arizona by the scenic beauty that results from our spectacular geology in areas like Grand Canyon and the Red Rock Country around Sedona. Tourism supports nearly 180,000 jobs and generated $2.99 billion in tax revenue in 2015. AZGS Resources Existing AZGS resources that complement this AGI factsheet and directly benefit the geotechnical and thus the broader community include the more than 1,000 geologic documents – maps and digital maps, reports, bulletins, open-file reports, and Down-to-Earth booklets – available free at our AZGS Online Document Repository. 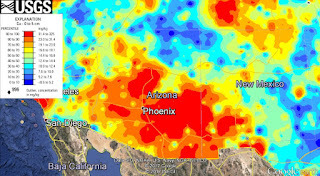 Our AZGS web site includes commonly sought information on geologic hazards, mineral resources, and environmental geology, outreach, and energy resources. Holdings of the AZGS Mining Data website: 400,000 document pages, 20,800+ mine files, 8,500 reports, 6,800 maps and nearly 6,000 photographs. Most of these documents are unpublished original materials that cannot be acquired elsewhere. Acknowledgments. We thank the AGI state factsheet crew for pulling this information together into one tight bundle. 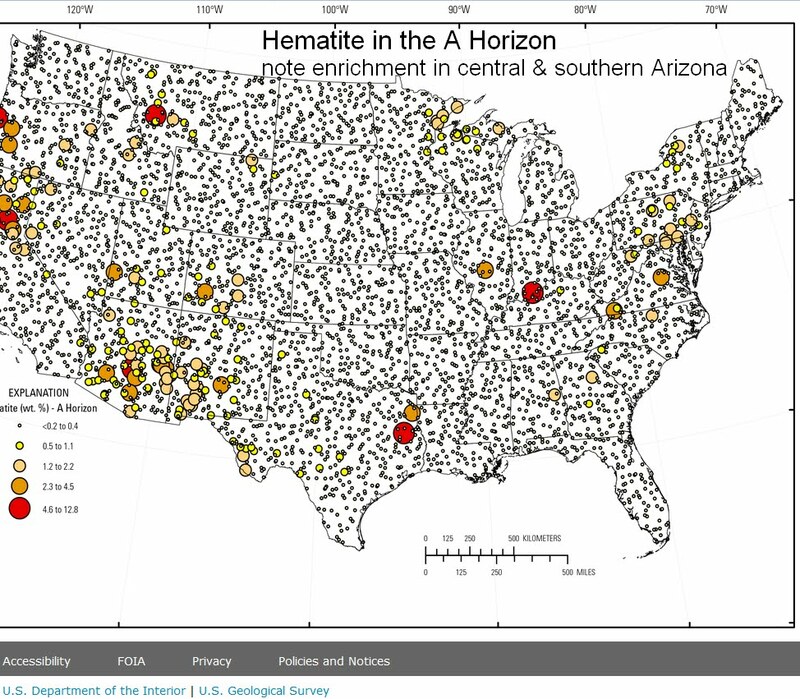 Revisiting interactive geochemical & mineralogic maps for soils of U.S.
From 2007 to 2010, the U.S. Geological Survey collected soil samples from 4,857 sites throughout the conterminous United States to support the North American Soil Geochemical Landscapes Project.